KDUK is in the IT hardware and services sector. 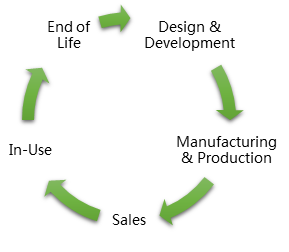 However, environmentally-sound ICT management does not just rely on procuring energy efficient devices, it also considers whether hardware acquisition is the best way to support the business processes and looks for ways to deliver the required functionality with a smaller amount of hardware. It also requires hardware assets to be retained for the optimum time, so that the maximum functional benefit is derived from the embodied energy consumed in its manufacture and the materials that it contains. When moving to new UK headquarters, all-in-one PCs were specified which don’t have a separate CPU and have integrated VOIP and video capability. This reduces the amount of material required for their manufacture, and consequently the amount of waste generated by their disposal at end of life. The chosen devices are Energy Star and EPEAT Gold compliant. Before the move, existing hardware was retained for an extended to ensure that we did not buy new equipment that would shortly be rendered obsolete by the upgrade. Unified communications software has been implemented whereby any member of staff can conduct teleconferences or videoconference from any desktop PC or from their mobile phone. Desktop sharing is also supported, so it’s as easy as possible to have a virtual meeting, thereby encouraging staff to avoid travelling for meetings unnecessarily. Videoconferencing equipment is also provided in meeting rooms, and used extensively for meetings with other group companies in Europe and Japan. Instead of desktop printers, a small number of multifunctional copiers are provided. A “pull printing” solution has been implemented which requires a proximity card to be swiped to release printed documents, thereby avoiding the potential for printouts to be left uncollected on the printer and reducing both energy and paper consumption as well as consumables waste. The same proximity card is used for building access. By providing secure, remote access to the company network from any internet-connected PC, KDUK supports an “office anywhere” culture which reduces the need to visit the office in order to access necessary data, thereby reducing travel impacts. Virtualised servers have been implemented to reduce the amount of hardware required; virtualisation increases the efficient use of the server’s processing capacity, which results in better energy efficiency. Redundant ICT equipment is disposed of according to the waste hierarchy, with priority given to re-use. Some is donated to local charities, some is sold to staff or to members of the public via eBay; during the move to the new HQ Freegle was used extensively. Any remaining equipment is disposed of using an Environment-Agency approved asset management company that delivers a social benefit. In terms of the printing and copying equipment supplied to its customers, KDUK goes beyond the legal requirements imposed by the WEEE directive. The UK WEEE compliance infrastructure is not geared up to prioritise whole device re-use or parts re-use therefore, although KDUK is required to belong to a government-approved scheme, it does not recommend that its customers use it. Instead it recommends customers partner with an ICT Asset Management company which will ensure more of the unwanted equipment is re-used. It also offers a free collection and recycling service for spent consumables. KDUK was also among the first in its industry to introduce a cloud printing service for its customers, enabling them to reduce their energy consumption and improve their resource efficiency. It also provides an open platform for the development of applications that can streamline business processes and enrich the functionality of its multifunctional copiers, reducing the need for customers to acquire task-specific hardware. 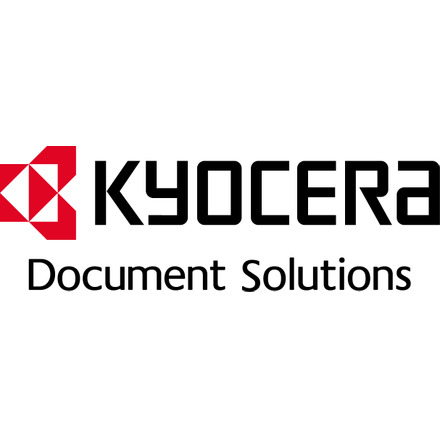 Its Document Management Services assist customers to reduce both the number of printing and copying devices in their organisation and their reliance on paper documents, through the application of document management software and other technology solutions. Businesses cases are based on the reduction of energy and paper consumption as well as cost, and software which calculates the achievement against these targets is built into the solutions. As a member of TechUK – the UK ICT industry trade association – KDUK is active in the climate change and waste workstreams, helping to shape best practice for the industry and participating in stakeholder consultations, for example on government Greening ICT agenda.